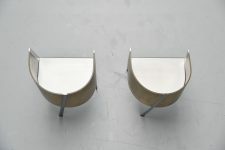 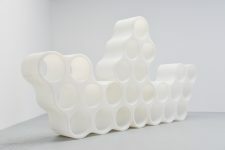 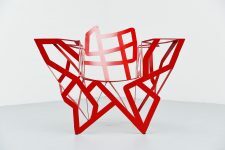 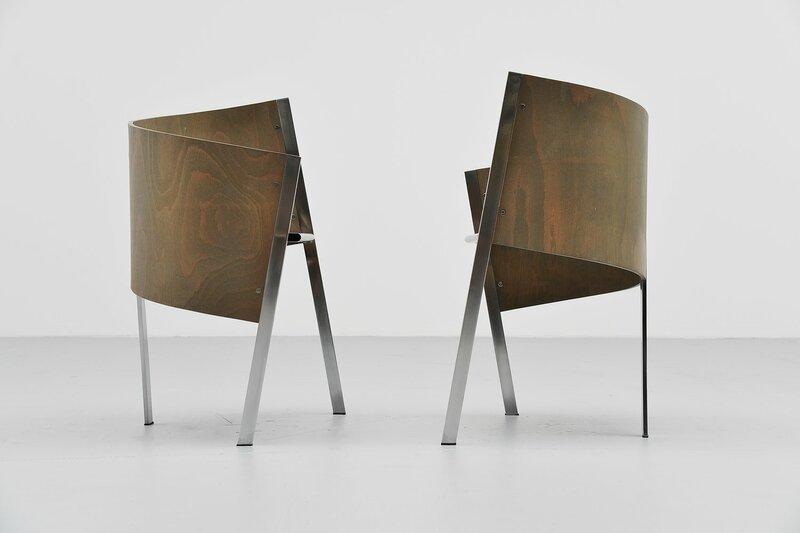 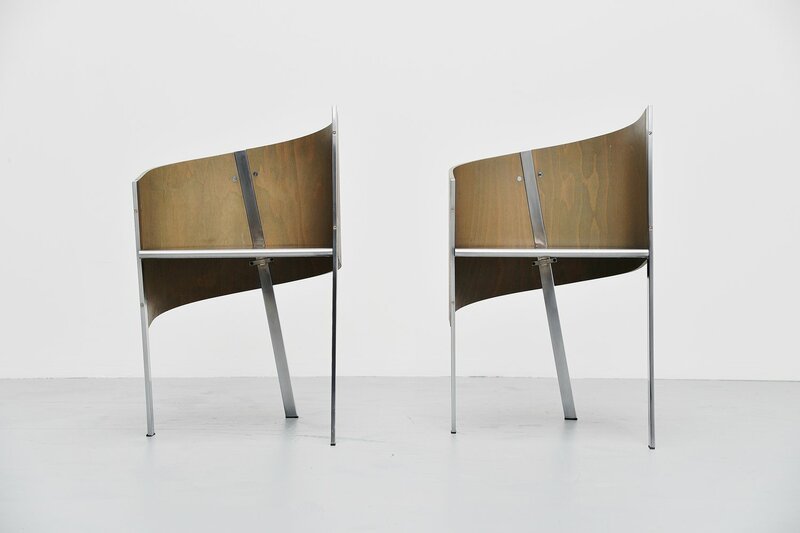 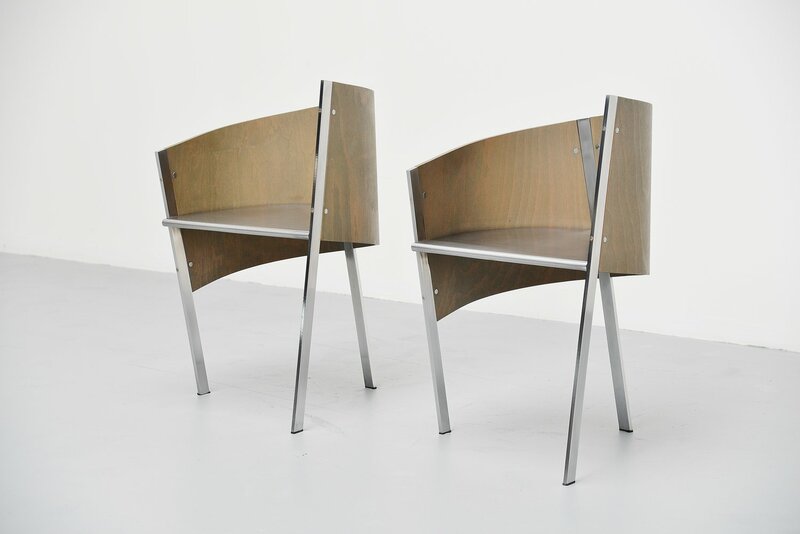 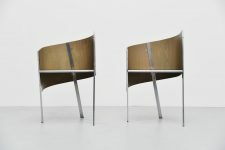 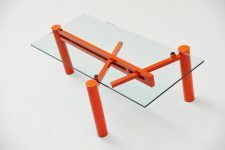 Stunning pair of side chairs designed by Paolo Pallucco for Gambe-Pallucco, Italy 1987. 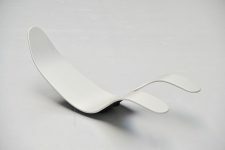 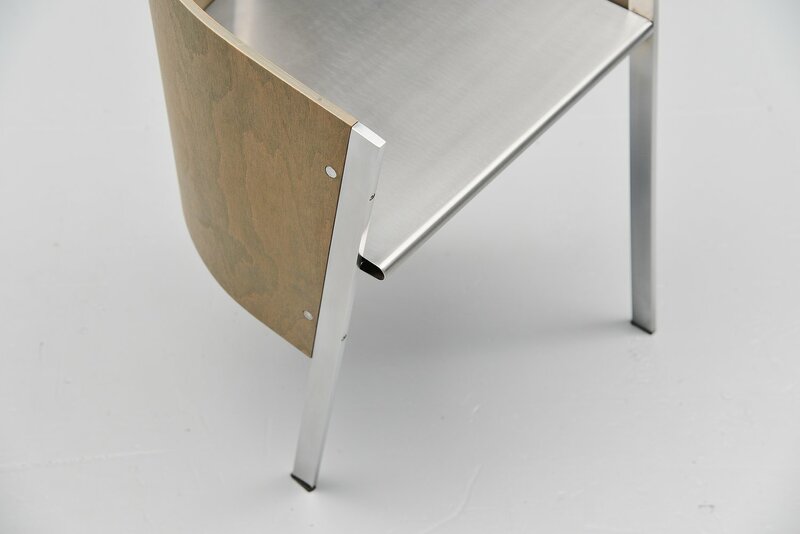 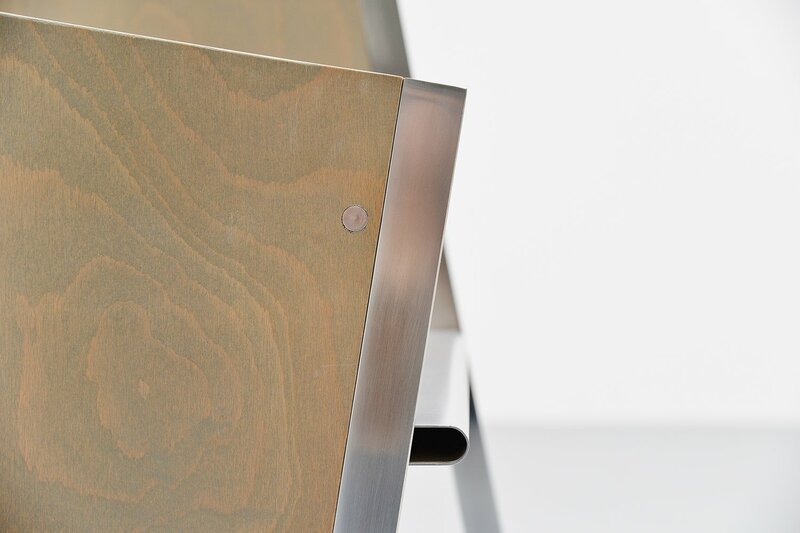 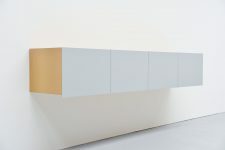 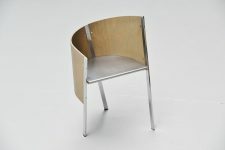 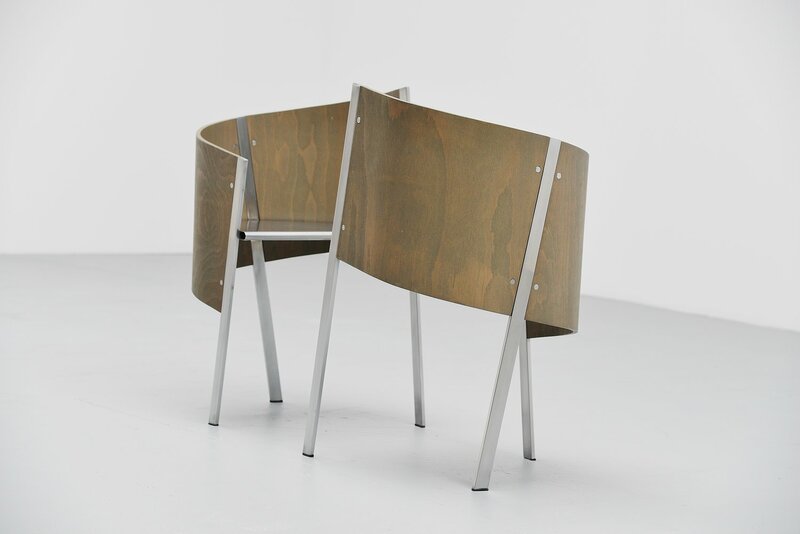 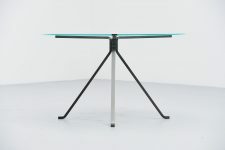 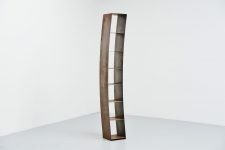 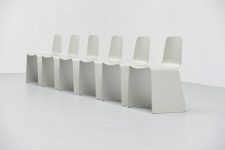 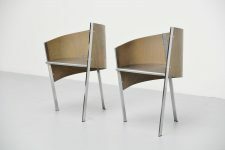 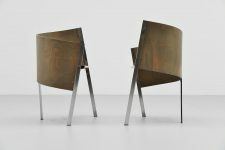 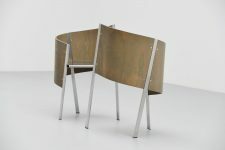 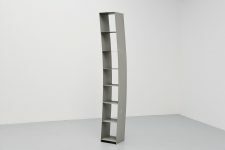 These chairs have a brushed steel structure and grey stained plywood back rest, existing in 2 parts. 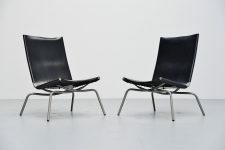 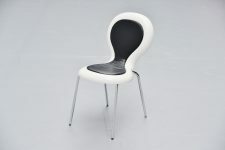 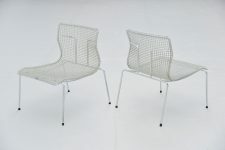 These chairs are in very good original condition and would look great in a modern design home or interior.